Sree Chitra Tirunal Institute for Medical Sciences and Technology (SCTIMST), Thiruvananthapuram, has developed a path-breaking drug delivery system for cancer treatment with a single-molecule chemical derived from a plant commonly seen in the country and across the world. The institute has completed a successful trial in animals and will soon proceed with clinical trials in humans after fixing a safe dosage for this cytotoxic drug. Coded SCTAC2010 – intellectual property rights prevent the institute from disclosing the name of the plant or the chemical derived for now – the drug is a conjugation of a particular chemical with anti-cancer properties and albumin, a protein abundant in human blood, for intravenous administration. SCTIMST director Asha Kishore said there will be a few more phases of clinical trials and involvement of industry partners before the drug can get final approval from authorities like the Drugs Controller General of India. 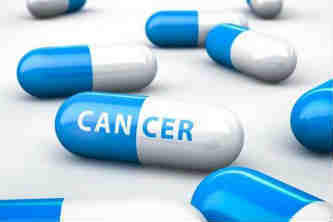 “This formulation has been proven to destroy cancer cells. We are transferring this technology to our industry partner with great hopes,” she said. The project has funding from the Indian Council of Medical Research for this project. ‘More studies needed to get the regulatory nod for trial in human beings’ Such molecules extracted from plants are insoluble in water but soluble only in organic solvents like chloroform. Many universities and research institutes often prove in labs the anticancer properties of chemicals derived from plants and publish papers. But such attempts do not benefit patients, as these molecules are insoluble in water and cannot reach the cancer tissues,” said Dr Lissy Krishnan, the senior scientist at SCTIMST and the lead investigator. The task was to find a formulation where this pure molecule, which is known for its biological properties and available in the international market, could be made water soluble. “And, we successfully conjugated the chemical drug to albumin, a natural drug-carrier in human blood with therapeutic applications,” Dr Krishnan said. Dr Krishnan and her team started research in 2010. “As it’s a cytotoxic drug, we need to get the right kind of concentration for multiple dosage therapies. Though we have found it safe in animals, a few more studies have to be done to get regulatory approvals for trial in human beings. More data needs to be generated for the approvals, and we will go for the Phase I clinical study in normal volunteers and then select volunteers,” said Dr Krishnan. “We have to bring a balance between the toxic molecule and the non-toxic albumin. It will take one to two years for this time-consuming testing,” she added.